For a DUI case with court scheduled in at the 41A District Court in Sterling Heights, finding a lawyer who will be there for you to properly defend you is essential to a great result. The extreme sentencing possibilities for a DUI conviction means that you should not take chances with your attorney. A solid defense needs to be built early on, so the time to hire your lawyer is today. Searching for Top Rated Sterling Heights Michigan DUI Lawyer To Be Your Lawyer? Depending upon the circumstances and your prior DUI history, a DUI arrest can lead to a misdemeanor or felony charge. 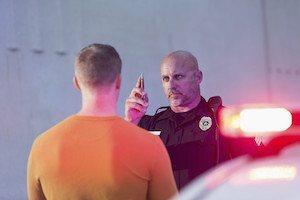 Felony DUI convictions include the toughest consequences that are both non-negotiable and mandatory (jail or prison confinement, community service work, treatment and testing, and closely monitored probation if you are not sent to prison). At sentencing, your Judge has discretion to decide how much time you actually serve (there is a minimum of 30 days in jail for probationers or 1 year in prison for felony 3rd Offense OUI). For a misdemeanor OUI conviction the Judge has the power to order in a jail sentence, and up to 2 years of probation. The Judge has no control over additional penalties from the Michigan Secretary of State which may cost you the ability to legally drive. With all this, the logical decision is to hire an outstanding DUI attorney. The lawyer who handles cases at the 41A District Court that is recommended over and over by Sterling Heights residents for DUI arrests is Daniel Hilf of Hilf & Hilf, PLC. With over 20 years of passionately defending DUI charges in Macomb county, attorney Hilf is continuing to accept new DUI clients in Sterling Heights. The 41A District Court is located at 40111 Dodge Park Road in Sterling Heights, Michigan 48313. All criminal cases that allegedly occur in Sterling Heights are scheduled for arraignment and other court hearings at this location. For felony charges, if a determination is made at a probable cause conference or preliminary examination that probable cause exists, the case is transferred for resolution to the 16th Circuit Court. The 16th Circuit Court is located at 40 N. Main Street in the city of Mt. Clemens, Michigan 48043-5656. Hilf & Hilf, PLC is located at 1775 W. Big Beaver Road in the city fo Troy, Michigan 48084. Call Hilf & Hilf immediately for your DUI/OUI case or other Court case.